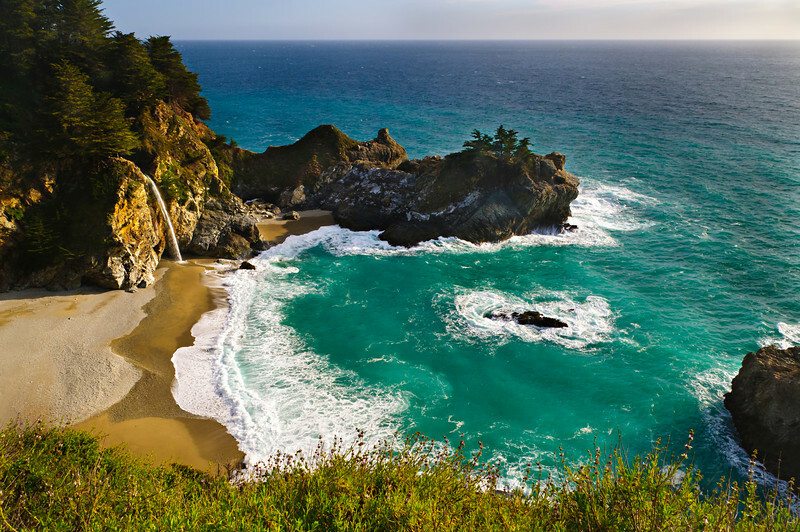 "McWay Falls, Julia Pfeiffer Burns State Park" McWay Falls is one of those hidden California treasures located thirty minutes south of Big Sur in Julia Pfeiffer Burns State Park. This waterfall spills right into the ocean surrounded by this private secluded beach. The bright green water and white sands has many people think this is an image from Hawaii! That beach makes you want to just get your chair, drinks and take out from Mike’s Cafe and sit right down by the waterfall. Another great place to be on a Friday afternoon.